Thrilling arcade racing game, inspired by Outrun, Top Gear, Lotus Turbo Challenge and the whole generation of super-fun-straight-to-the-point racing games. Up to 4 players. Up to 4 friends. 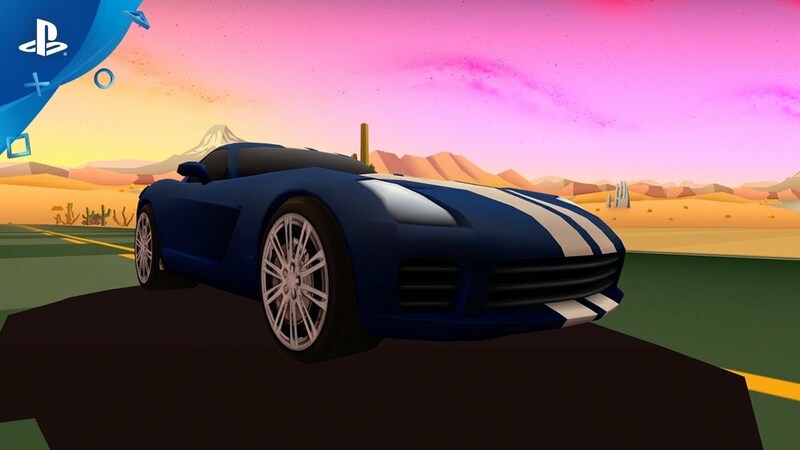 A WORLD TOUR THROUGH AMAZING HORIZONS: Horizon Chase Turbo is a race around the world. With each new cup you'll pilot your car through extraordinary places, watching the sun setting, facing rain, snow, volcanic ashes and even severe sandstorms. Be it day or night each track takes place in beautiful postcards from across the world. BARRY LEITCH, THE COMPOSER BEHIND LOTUS TC, TOP GEAR AND RUSH: Horizon Chase Turbo presents Barry Leitch, the musician behind the soundtracks of classic arcade racing games Lotus Turbo Challenge, Top Gear (SNES) and Rush. As you play the game, you'll be hypnotized by his charming tunes that complement the graphical ecstasy of each horizon. BACK TO THE OLD-SCHOOL COUCH FRIENDSHIPS: Horizon Chase Turbo offers a Multiplayer Split Screen mode that rescue the nostalgia of playing with your best friends sitting on a couch all night long. The hard time is to know who is your best friend, because this one is also the one to be beaten. PS4 TURBO EDITION: Horizon Chase Turbo is the new version of the acclaimed and multi-award winning game “Horizon Chase World Tour”, selected as “BEST OF 2015” having a Metacritic of 88. The PS4 Edition brings a lot of unseen features and content that enhance the nostalgia of the old-school arcade racing games. Horizon Chase Turbo is a racing game inspired in the great hits of the 80's and 90's: Out Run, Lotus Turbo Challenge, Top Gear (SNES), Rush, among others. Each curve and each lap in Horizon Chase Turbo recreates classic arcade gameplay and offers you unbound speed limits of fun. Full throttle on and enjoy! Horizon Chase Turbo brings back the graphic context of the 16-bit generation and creates a style that is inspired in the past without letting go of its contemporaneity. The apparent polygon and secondary color aesthetic accentuate the visual beauty of the game, resulting in a unique and harmonic atmosphere. You'll feel the retro soul of the game on a completely modern body.